February 6th-8th sees the UK’s largest manufacturing, technology and sub-contracting event at Farnborough – Southern Manufacturing and Electronics 2018. Attracting the brightest and best of the UK’s manufacturing and technology companies, this event is a must-visit, but how do you make the most of this event? We’ve got some great tips on how to ensure that you get the best out of Southern Manufacturing 2018 for both yourself, and your company. We’re all guilty of letting our calendars and diaries fill up with appointments! Make sure that you block out the date(s) you’ve decided to attend the event on so that you can focus on the event, rather than any calls or meetings that can be moved to another day. Doors to the event open at 9.30am on all 3 of the days. In order to avoid queues and make the most of the networking opportunities the event offers, make sure to get there early. We all know the adage, proper planning prevents poor performance and it can certainly be applied to attending events. Make sure that you have a clear goal of what you want to achieve from the event; whether it’s to learn something new, see a new product in action, or meet a prospective lead you’d really like to chat to. If there’s a particular exhibitor you’d like to speak to, or a product demonstration you’d like to see, make sure that you know where they are, and at what time you’d be likely to see them. If the exhibitor offers appointment booking (such as ourselves), then make sure to book an appointment at a mutually beneficial time. It’s important that you also leave space around the appointments to get to and from them, and to allow for potential foot traffic, since this is a very popular event. We all know how difficult it is to run out of pens, paper, battery charge, and business cards! Make sure that you’re well equipped, but not bogged down by non-essentials. We recommend you have the following on you, for business and comfort reasons: pens (nothing worse than one running out! ), a notepad, your phone charger, a portable charger for your smart phone, and ample business cards. Whether it’s for a company blog post or social media updates, or you want to know more about a particular company or product, it’s always important to take notes and photos. This is particularly important when attending one of the free seminars; for your own learning and for reporting back to those in your company who couldn’t attend the event themselves. As we mentioned previously, this event is a great opportunity to make connections, so why not make the most of it? Top tip: once the event is over and you’ve returned back to work, make sure to send a personal follow-up message to every person you met at the event, and if you’re looking to do business or build a relationship with them, why not arrange a phone call or follow up meeting in person? With all events, it’s difficult to remember the main reason you’re there, but also to make sure to enjoy yourself. Despite this being an important business event, being able to enjoy it is one of the biggest factors to keep you returning time and time again. Make sure to take some time out for lunch and refreshment breaks and to gather your thoughts on the day as it progresses. 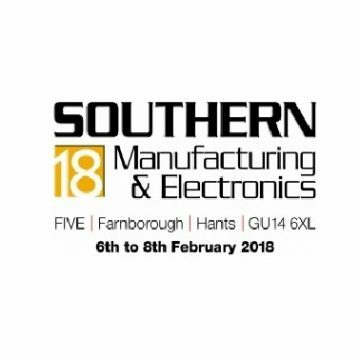 We’ll be attending the Southern Manufacturing & Electronics 2018 event – make sure to visit our stand (A115), and book an appointment with us if you’d like to discuss any specific needs you might have.